Corel has announced the release of Pinnacle Studio for iPhone. 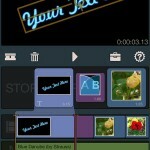 The $9.99 app allows users to edit video, audio, and photos on the go. It follows the 2012 release of Pinnacle Studio for iPad. 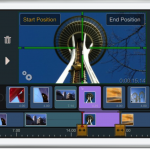 Unlike other mobile video editing apps, Pinnacle Studio doesn’t make you sacrifice features and control just because you’re editing on your iPhone. For the first time, you can enjoy sophisticated anywhere, anytime movie-making capabilities, right in your pocket. With the release of Pinnacle Studio for iPhone, the $12.99 iPad app has been updated. It has been rebuilt for iOS 7 and now supports 64-bit processing power. Both Pinnacle Studio for iPhone and Pinnacle Studio are available for download on the App Store.